Co.Table provides solutions for the shared working environment or the open plan office where touch down spaces are required. Comprised of a long diner height work bench with a radial end and an adjoining poseur height end table, the Co.Table is designed to facilitate independent & coworking activities. Users are well catered for, having access to power on a central utility rail, lighting and storage shelf are all available. 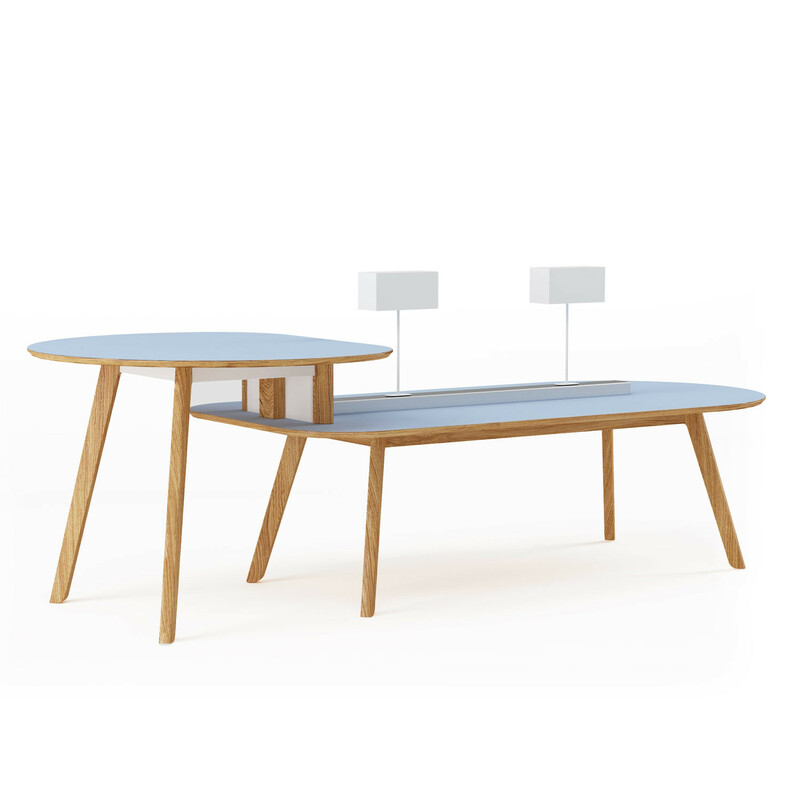 The Co.Table is a robust and flexible solution for busy 24/7 working environments, promoting full collaboration. Natural oak legs as standard. Tough high pressure laminate tops available in 4 standard Egger laminate table top finishes, special colour options available. Co.Table diner tables are available in 2 set sizes. Aluminium central utility rail available in white, silver, textured black or warm metallic copper. You are requesting a price for the "Co.Table"
To create a new project and add "Co.Table" to it please click the button below. To add "Co.Table" to an existing project please select below.